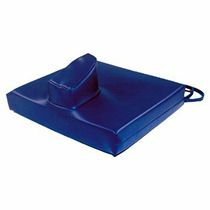 Air Wheelchair Cushions Air is highly compressible and would make an excellent support surface, except for its requirement of an impermeable membrane. 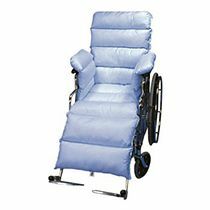 Therefore, the efficiency of air wheelchair seat covers is directly related to the design of its container and proper inflation. Some encompass the body well while others do not. Some dissipate heat well, all can handle moisture without harm and most will absorb impact loads. 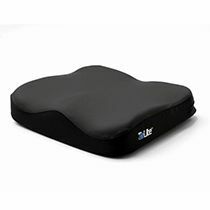 Because air wheelchair seat cushions are adjustable, they can be inflated to meet the needs of the user, but this adjustability also means that they must be maintained properly. An improperly inflated air cushion can be either too hard or too soft, and both are potentially damaging situations. Through intense research and development, ROHO invented ROHO DRY FLOATATION® Technology, named for its properties that mimicked water in a dry environment. Time and time again, this technology has been proven to help heal and prevent pressure ulcers by using ROHO wheelchair cushions. 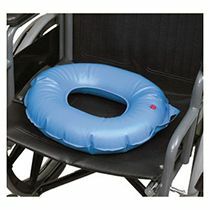 Foam Wheelchair Cushions Foam is light and varies widely in stiffness and density. Proper stiffness, density and resilience help ensure adequate support and an effective lifespan. 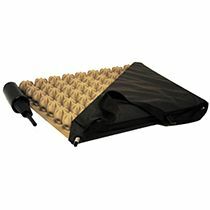 Foam wheelchair pads envelop the buttocks well, but can be hot and are damaged by moisture and light, so a protective cover should be used. 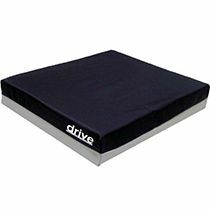 Wheelchair Cushion covers made from fabric that does not stretch and is fitted tight around a cushion tend to negate the compressive benefits of foam. 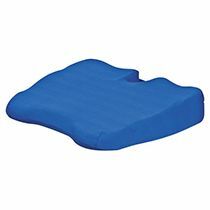 Foam wheelchair seat cushions absorb impact loads well, so it can help absorb the shock of going over bumps or obstacles. 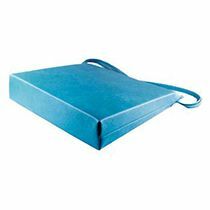 Gel Wheelchair Cushions Gel wheelchair pads are heavier than foam and, therefore, are often used in combination with foam. 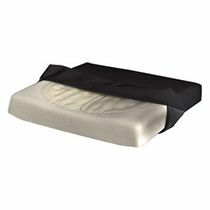 These materials are good at minimizing heat and are typically encased by a protective cover so are easily cleaned. 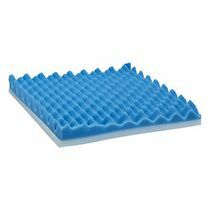 Because of their in-compressible nature, viscous fluid and gel wheelchair cushions often use a contoured non-deforming foam base or a flat, compressible foam base to better enable the cushion to conform around the body. Gels and fluids absorb vibration but cannot absorb impact well. These wheelchair seat covers can absorb the vibrations that one might experience in a car, but not the impact one gets when bumping over a curb cut. 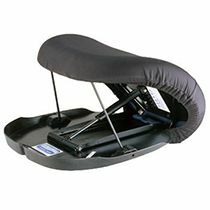 Browse these categories under "Wheelchair Cushions"